This “criticism” was unknown to me until E3 2016. I still remember the Days Gone reveal loud and clear and seeing the onslaught of “generic white male” comments. Till this day I still do not understand this “criticism” properly. What does a generic white male even mean? Brown hair? Handsome looking? These days even beloved characters like Nathan Drake are “criticised”. Why did I decide to write this opinion piece today? Well if you aren’t living under a rock, you would know that the new Star Wars game titled Jedi: Fallen Order was recently revealed. The trailer wasn’t great, but I’m optimistic because EA is finally making the single player Star Wars game we’ve been asking waiting for. I can completely understand people criticising the trailer. The visuals were so-so, and they showed no gameplay – but that isn’t the main criticism this game is receiving. Why is that? Why are his skin and hair colour and his gender getting the most attention? I don’t get it. Days Gone has been slammed by forum users and even big sites for having a “generic white male” as the protogonist. Apparently, even his name is generic too. Again I don’t get it. Last year we saw the same criticism with Arthur Morgan who was slammed for being generic and white before the game ecame out. Now I’m not a big Red Dead Redemption 2 fan. It’s a pretty darn good game but it has quite a lot of problems but Arthur Morgan a “genric white male” with “brown” hair and a “generic” name – “Arthur Morgan” was not one of the problems in Red ad Redemption 2. Heck after the release of Red Dead Redemption 2 a lot of people came to like Arthur and myself included. So why is this a criticism again? Is it because there aren’t more female or people of colour main protoganist? To answer that question – yes I do think we need even more people of colour and female main characters and it’s always great to see people of colour or females take the leading role. The critically acclaimed and fantastic selling blockbuster Horizon Zero Dawn had a strong female main character named Aloy and I came to like her very much. 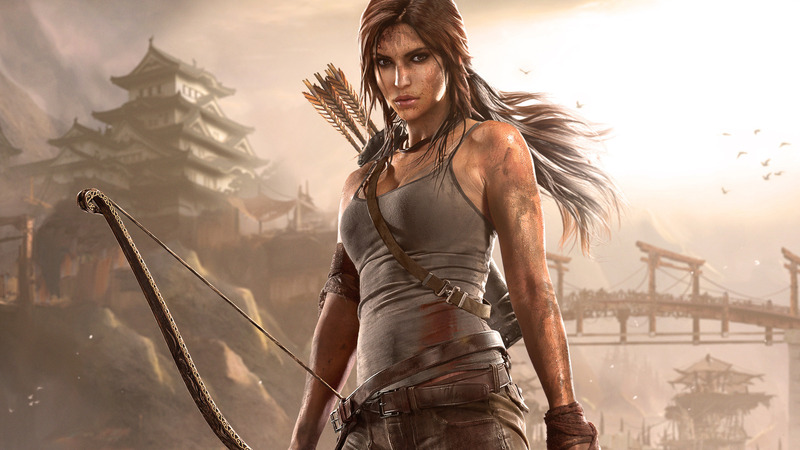 Tomb Raider as we all know as a highly skilled and intelligent female main character. The new Wolfenstein game also has a pair of females taking the central role and we saw Nadine – a black female and Chloe take on a leading role in Uncharted The Lost Legacy which was also a pretty good game. Diversity is always good all the time in my opinion. I welcome more people of colour, female main characters, LGBTTQQIAAP++ – everyone is welcome in my opinion. It doesn’t matter what colour you are, what race you are, or what hair colour you have. In the real world, we strive for everyone to be accepted and it should be the same for video games. Sony showing The Last Of Us Par worldwide to the public at E3 last year with Ellie kissing her girlfriend was brave and I smiled when I watched the trailer. It shows that it doesn’t matter anymore. To conclude I personally I think that your skin colour, hair colour, sexuality or anything like that should not be seen as a flaw. It’s a weak argument in my opinion and Video Games are more than just debates about things like that. There is so much more to say about Video Games. As long as we are getting a diverse amount of roles – which the industry seems to be improving on, then I’m happy and pleased.